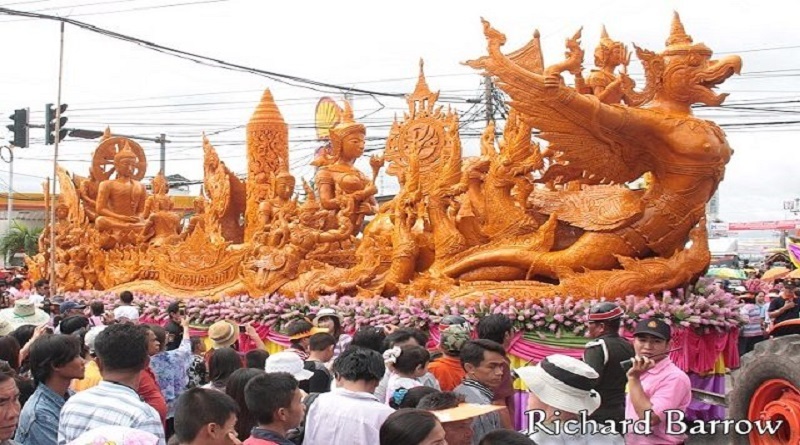 Ubon Ratchathani Candle Festival is the traditional festival in Thailand which is held to prepare for the rainy season. On this day, Giant candles are paraded through floats on the streets which represents a particular District or local temple. 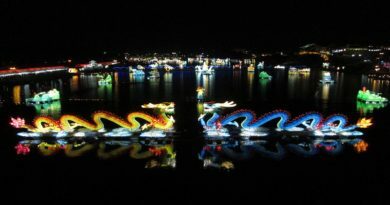 It is a major attraction for both Residents and Tourists to watch Giant candles carved into mythological figures. The Parade is usually followed or accompanied by traditional dance and musical performances where artists are dressed in colorful traditional attire. On Asanha Bucha Day these candles are brought in the middle of the city and are decorated and exhibited.